This card was originally designed and sold by Commodore, but was later manufactured and sold under license by DKB. 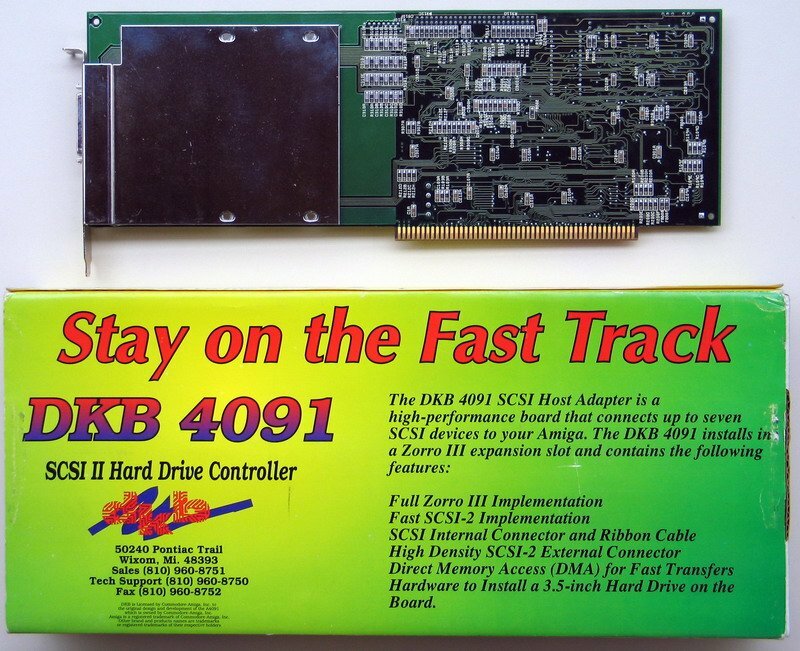 The A4091 is a full-length Zorro-III DMA Fast SCSI-II hard drive controller designed for the A4000. It is based on the NCR 53C710 chip. 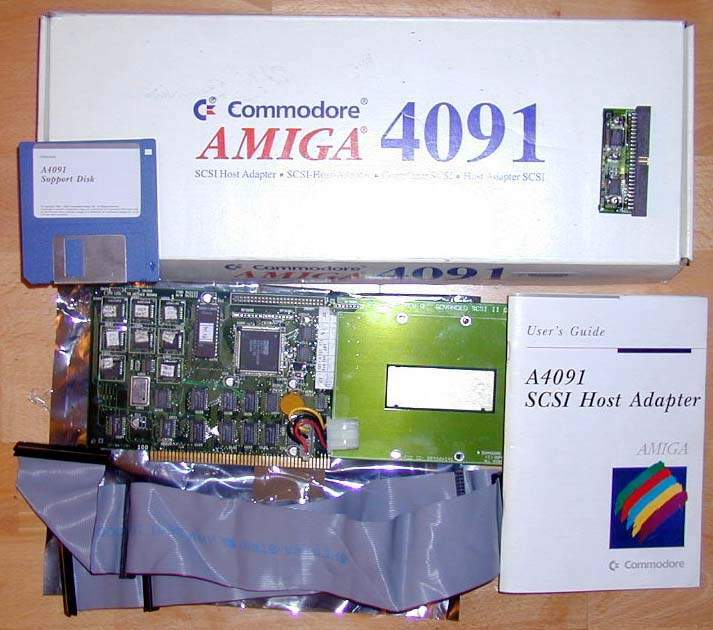 Unlike some similar products, it is only a Fast SCSI-2 controller; it has no sockets for additional RAM. 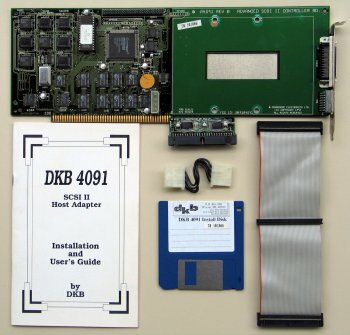 The A4091 package includes an active terminator and a custom ribbon cable, which is nicely folded to accommodate up to five internal drives, one on-board and a pair in each of the front and rear bays. 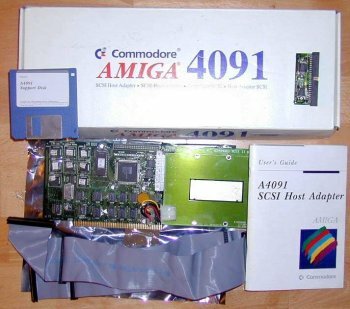 The A4091 requires a revision 11 Buster, which Commodore supplied loose with the card. It works with A3640 3.1 and 3.2 revisions, but not 3.0. 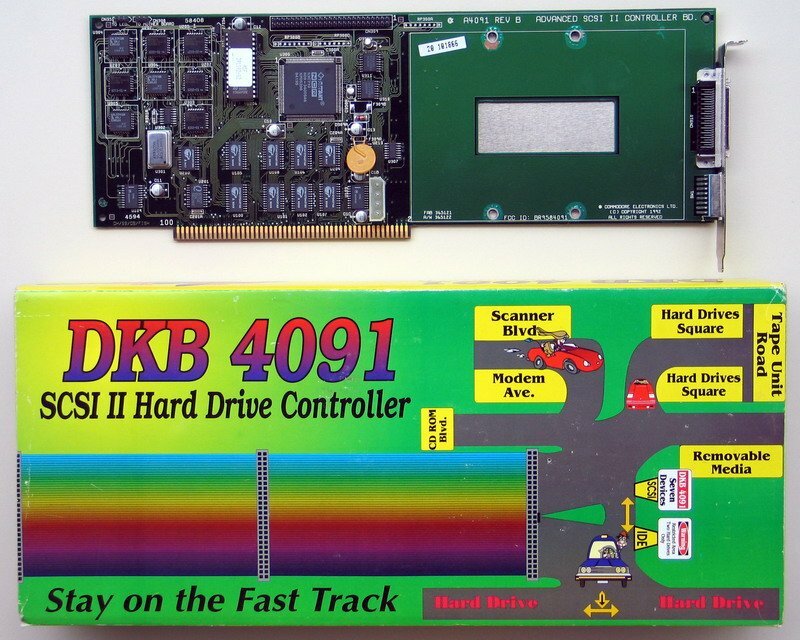 The board is theoretically capable of 10 megabytes per second transfer rates. Unplug the Front Panel LED cable from the connector on the motherboard and plug it into the CN351. To make the LED operate for IDE drives as well, use the extra cable supplied with the A4091 to connect CN308 to the motherboard. 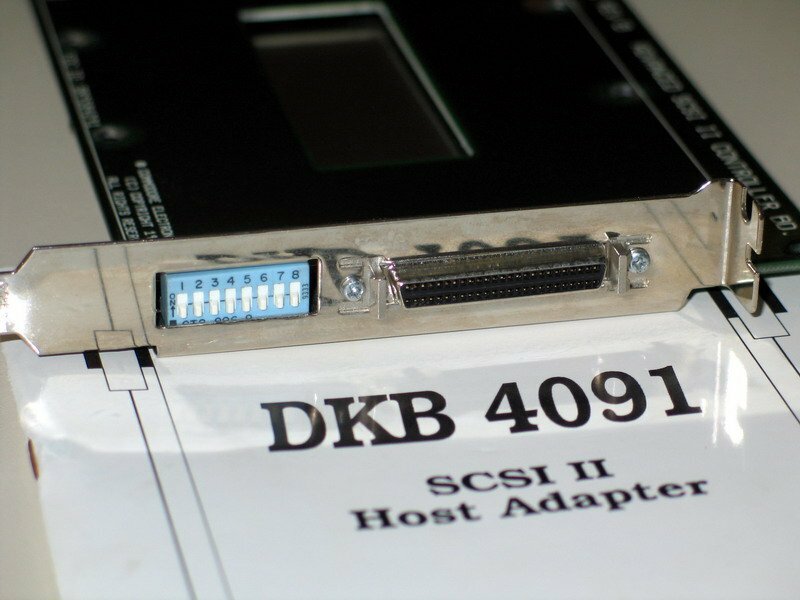 SW4 OFF indicates that the SCSI Fast Bus feature is enabled. SW6 OFF indicates that the synchronous mode feature is enabled. which can mean improved response time with most SCSI devices. SW7 OFF indicates that you do not have any external devices. Page contributors: Bob Emery, Francisco Rabay Jr, Iggy Drougge, Warren Block.